The Combined Harare Residents Association (CHRA) together with the Crisis in Zimbabwe Coalition has blamed the Harare City Council for the chaos that ensued yesterday following the allegedly ill-advised decision by the Ministry of Local Government and the Joint Operations Command to ban kombis in the Central Business District. The ban resulted in death of two civilians who were shot by armed police at the Seke Road fly –over yesterday following clashes between police and kombi operators who were resisting an alleged absurd decision to ban kombis in the Central business District. 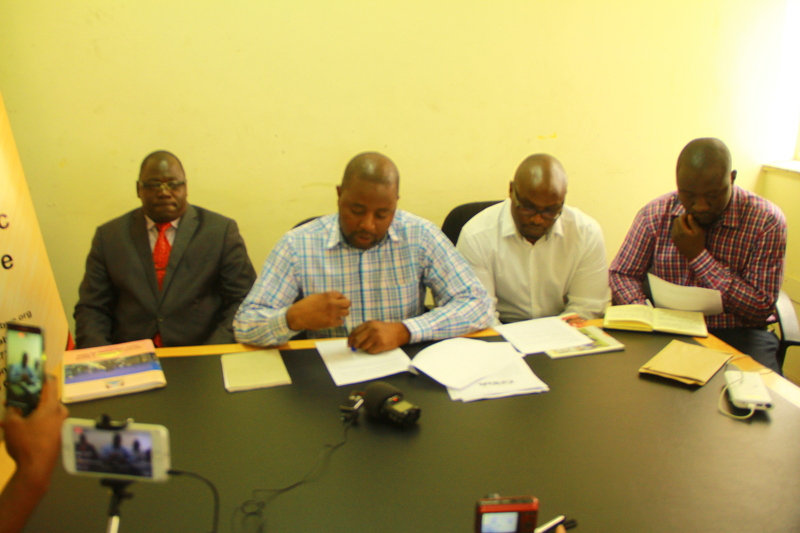 Addressing journalists at a press conference today in the Capital, CHRA chairperson Simbarashe Moyo said “These events paint a sad and worrisome trend towards continued violation of fundamental rights and abuse of the military to further partisan and ill-advised central government decisions”. Moyo noted that they are aware of the negative externalities that erupt from a congested city and as a Progressive Residents Association they are ready to engage with the local authority to find human and sustainable solutions to this problem. Representing the council was the deputy Mayor, Enock Mupamawonde and Councilor Gomba. “It’s important to read the wording of the Minister’s statement in that it never rescinded any council decision because if Council had made that decision Minister July Moyo would have quoted the resolution and minutes of the meeting he was rescinding ,this wasn’t done because council didn’t make such policy decision” said deputy Mayor. Mupamawonde went on to note that the council will look at how they can help the families of the deceased in their next full council meeting. “We also regret the loss of property and life during this unwarranted, premature, hurried, unresearched, unconsulted government decision, we must all strive to protect the unnecessary spilling of blood on our streets.” said Mupamawonde. Councillor Gomba noted that if devolution is implemented then the city fathers will be accountable.